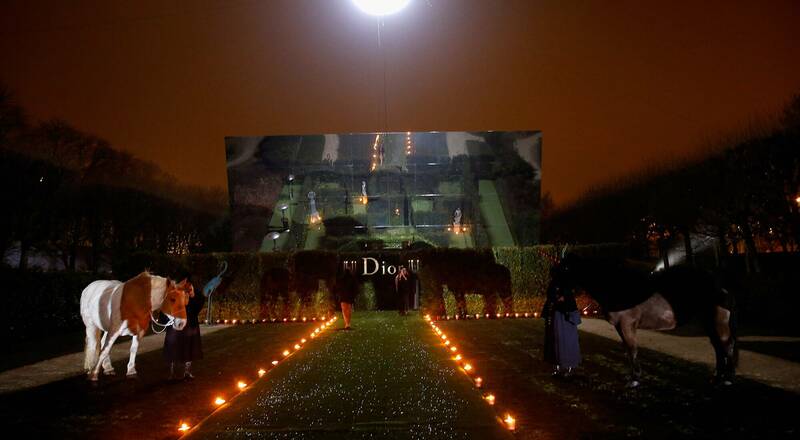 Irregular, almost impenetrable, like a secret garden… For her first Dior Haute Couture collection Maria Grazia Chiuri, Artistic Director for women’s collections, drew inspiration from the image of the labyrinth, a metaphor for her adventure into the heart of the Dior world. Since becoming Artistic Director for women’s collections for Maison Dior, Maria Grazia Chiuri has found inspiration in the imagination of Christian Dior, whose first collection was unveiled barely 70 years go. 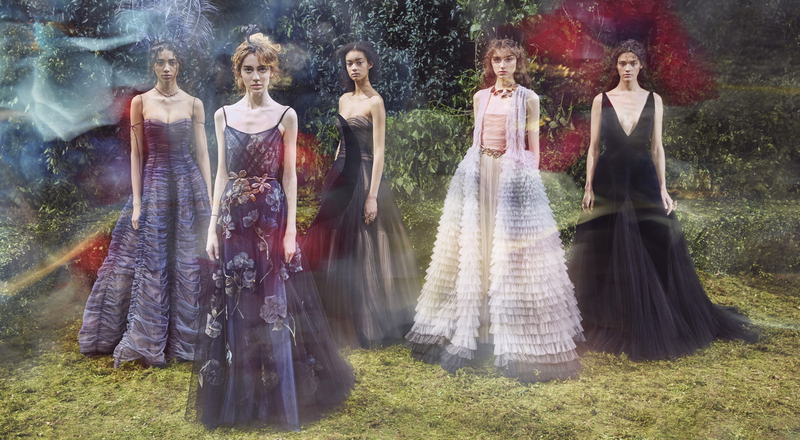 This gave birth to evening dresses in fluctuating and powdery colors (mauve, blue, pink, gray) that evoke the passing of the seasons and of life itself, with layers of tulle entrapping exquisite flowers. New shapes and cuts rewrite the House’s lexicon. Lace is cut out and remounted on organza, and pleated tulles are layered in compositions both ethereal and majestic. The Bar jacket is deconstructed and reinvented, even as a cape. Maria Grazia Chiuri celebrates the feminine tuxedo too. Reborn in a series of fresh interpretations, this typically masculine evening outfit becomes the defining piece of a contemporary take on femininity. 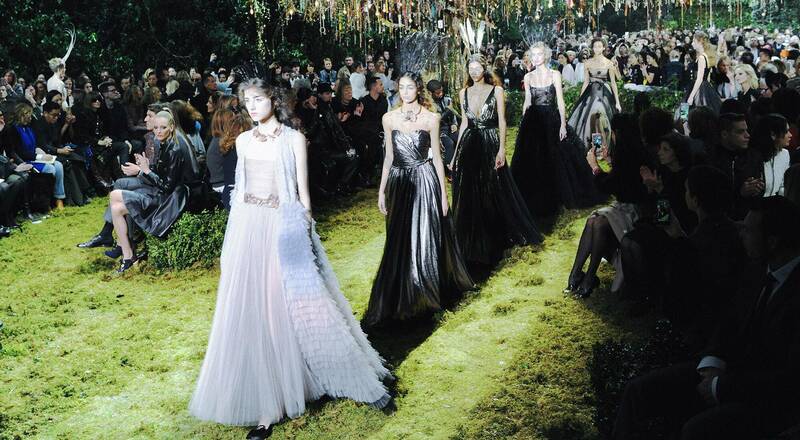 For the dazzling finale of this first Haute Couture collection, Dior’s new women’s Artistic Director imagined a fabulous ball, straight out of a fairy tale.